We are pleased to announce that we will be exhibiting at the European Microwave. Visit us at booth 343. Come and visit us at Booth # 1102. Honolulu, Hawaii, 4-9 June, 2017. AO Technologies is pleased to announce that we will be exhibiting at the International Microwave Symposium, 4-9 June 2017. We look forward to connecting with many other key players in the industry and seeing how we can advance through finding solutions together. Come and visit us at Booth # 711. Visit us at the 2016, European Microwave. We are pleased to announce that we will be exhibiting at the International Microwave Symposium, 22-27 May 2016 in San Francisco. AO Technologies is pleased to announce that we will be exhibiting at the European Microwave. AO Technologies is pleased to announce that we will be exhibiting at the International Microwave Symposium, 17-22 May 2015. We are pleased to announce that AO Technologies will be participating in the Paris Space Week, February 4-5, 2015. AO’s will be involved in the B2B networking sessions, the “International Business Meetings of the Space Industry”. 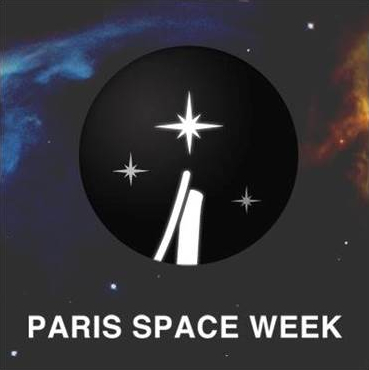 The Paris Space Week is a prestigious forum where the key players in the aerospace industry gather together. We are proud of our brand new website and are currently in the process of entering many products. If you do not find the product you are looking for, it is almost certainly available but not yet loaded, so please use our contact form to enquire about the products you are interested in. Thanks for your patience! We at AO Technologies are so pleased to be launching our new website today! As with all new websites it is a work in progress, but we hope you’ll find what you are looking for here. We have been established in Paris, France since 2003 and currently have branches in France, the U.K. and the U.S. The “AO” in our name stands for “Alpha and Omega”, reflecting our goal of excelling in every area of our operations from beginning to end. We aim to provide superior customer care to our clients by consistently producing and delivering high quality products on time and at competitive prices. Whatever your microwave, RF, satcom and cabling needs, please don’t hesitate to get in touch to discuss your specific requirements.